The Team of Choice head into their second match of 2015 when they square up to Chippa United in Port Elizabeth this Saturday. • Chippa United and Maritzburg United will both look to bounce back from midweek Absa Premiership defeats when they meet at the Nelson Mandela Bay Stadium on Saturday, 14 February 2015, kick-off at 15h30. • Chippa suffered a fourth defeat from their last five league matches when they were beaten 2-1 by University of Pretoria on Tuesday. • The Eastern Cape side has claimed 15 points from their nine home matches so far this season. • Their next three league opponents are Ajax Cape Town (away), Polokwane City (home) and Orlando Pirates (away). • The Chilli Boys are placed 10th on the Absa Premiership log with 22 points from 18 matches. • Maritzburg suffered a third successive league defeat when they lost 2-1 at home to Bidvest Wits on Tuesday. • The KwaZulu-Natal side has claimed nine points from eight away matches this season. • Their next three league opponents are Free State Stars (home), University of Pretoria (away) and Kaizer Chiefs (home). • The Team of Choice is placed seventh on the Absa Premiership log with 22 points from 18 matches. • In head-to-head stats, Chippa and Maritzburg have met in three league matches since 2012/13. • The Team of Choice boasts a 100 percent record, with three wins from as many matches. 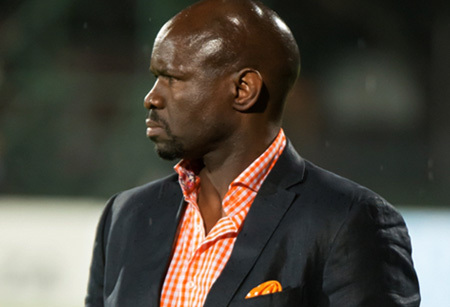 • Chippa’s only previous home match against Maritzburg was a 1-0 loss in the 2012/13 season. • When the teams met earlier this season, the Team of Choice claimed an emphatic 3-0 home victory. • Chippa’s line-up from their 2-1 loss to Tuks: Mzimela, Cloete, Okwuosa, Komane, Zulu (Chipeta 46'), Moholo, Uzochukwu, Twala, Shai (Mtule 78'), Mbenyane, Akpabio (Cele 84'). • Maritzburg’s line-up from their 2-1 loss to Wits: Vries, Mabaso, Paintsil, Banda, Cele (Mokate 75’), Mekoa (Lentjies 85’), Mkhize, Mngonyama, Vilakazi (Booysen 58’), Hartog, Anas.